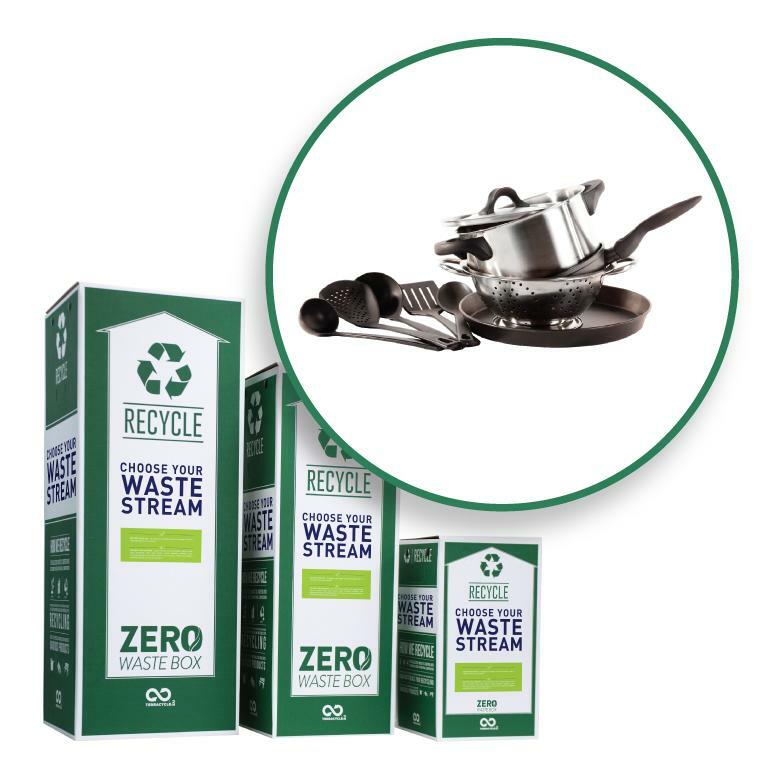 Use this box to recycle your kitchenware and utensils, including any non-electronic appliance used for preserving, preparing, or serving food. Please send us your discarded kitchenware including utensils, cups, mugs, plates, bowls, pitchers, trays, non-electronic can openers, bottle openers, soap dispensers, Tupperware plastic food containers, cutting boards, pots, measuring tools, pans, skillets, grills, steamers, and strainers. include electronics such as toasters, disposable dishware or sharp items like knifes. Please note that we will not accept organics, broken glass, bio-medical waste, soiled nappies, coffee makers, expired medication, pesticides, paint, pressurised canisters, and medical sharps in any of our boxes. Please send traditional recyclables through your local council system.